The Goat Canyon Trestle bridge, located in Carrizo Gorge near Jacumba, CA is the largest curved wooden trestle bridge in the world. We started our hike at the trailhead off the dirt road next to the De Anza Springs (clothing optional) resort. The hike was on a relatively flat trail that followed a railroad track all the way to the bridge. A few people in our group rode their bikes while the rest of us hiked. This was a 16-mile out and back trail in a remote location and it is not recommended to hike or bike alone. Round up a few friends, go out there and have a fabulous time on this epic adventure! It’s the holiday season and work has slowed down for many of us, so what is the best thing for outdoorsy people to do? Go out and take a hike, of course! Rain or shine! It just happened to be stormy Tuesday morning, so my friend Kim and I headed to Palm Springs for a scenic ride up the Aerial Tram and a short 1 1/2-mile hike on the Desert View Trail. I had always been curious about that trail, but never had time to do it since each time I’d been up there was to hike to San Jacinto Peak. We didn’t even consider aiming for the peak in the storm, but felt it was pretty safe to hike around Mountain Station at 8,516ft. The ride from Valley Station up to Mountain Station wasn’t very scenic as visibility was limited due to the weather. When we arrived at the top, we took a few moments to get our bearings. I had never been to the tramway during the Christmas season, so it was really neat to see all the decorations. After we had seen everything, we looked outside and contemplated when to go out. We didn’t ponder IF we should go out; we already knew what we were getting ourselves into and were prepared. We wanted to see snow and possibly experience getting snowed on. It was cold, rainy and windy outside. The very sign on the door warning that the door had been secured due to high winds caused us to shudder. We bundled up and braved the elements, along with several familes with small children. I knew this would be a great opportunity to test out my new Ossipee Women’s Midweight Crew base layer from Minus 33, which I wore underneath my synthetic down jacket. The merino wool base layer did well on a previous hike a few weeks ago, but I started to get a little toasty with warmer temperatures. This time, it was cold, rainy and windy, so the base layer was perfect for the conditions. I stayed warm and dry, despite the blustery weather. Once we entered the Desert View Trail and hiked away from Mountain Station, we had the trail to ourselves. There wasn’t a soul around. The trail makes a short loop with five notches that allows for incredible views of the Coachella Valley below. However, we had no visibility because we were socked in by the clouds. Still, it was pretty rewarding to hike up to each individual notch. We definitely saw snow on the ground as we had hoped, but it wasn’t the type of snow we expected or wanted to see. This snow was hard, packed and slippery in spots, so we had to be very careful. Kim put on her microspikes, but even though I brought mine, I didn’t use them. My backpacking boots have pretty good traction, even in icy conditions, but I still had to be careful. My legs usually don’t freeze, but I’m sure they would have had I not worn a pair of midweight bottoms under my thin hiking pants. The Franconia Women’s Midweight Bottoms kept my legs nice and toasty, even with the high winds and chill factor. The fabric was very comfortable and the fit non-restrictive. Most of the time, I forgot I was wearing the bottoms under my pants. After visiting Notch 5, we continued on the loop and crossed the wooden bridge that took us to the Discovery Trail, a short 3/4-mile loop that passes the Adventure Center, which was closed at the time. I love bridges, so crossing it brought out the kid in me. We saw a snowman on the way back and I noticed that Frosty was missing an arm, so I performed a brief surgery and replaced his limb with a nearby stick. He was all better after that. I took a few more pictures and then we made our way up the long, winding paved path back to Mountain Station where I warmed up with a rather spicy cup of chili. It was much more crowded than before and we almost couldn’t find a place to sit. We lucked out and secured a spot near the entrance. Overall, we were very happy that we went on the journey into the storm. I couldn’t help but wonder why we did it. Why did we leave the safe, cozy comfort of our homes to deliberately go out into the elements where there was potential danger and unpleasant conditions? Why do we adventurers do what we do? Those are questions I can’t answer right now. But my tales are still being written. I suppose someday it will come to me on one of my treks in those conditions. For now, I’m happy with not knowing. 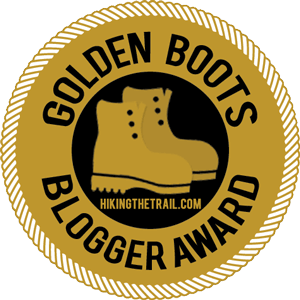 A lot has happened over the past couple of weeks and I have many stories to share, but I’m going to start off with this one tale of the trail from my most recent trip to Anza-Borrego Desert State Park in southern California. This is a place I had been longing to visit, so I was happy to see it posted with a group of adventure enthusiasts I’m familiar with. Among the list of adventures planned, the big draw for me to sign up on this weekend getaway was the hike to the Goat Canyon Trestle Bridge. I had seen various pictures and videos posted of the hike and of the bridge itself and had grown very intrigued. The prospect of finally getting to do the hike filled me to the brim with excitement. I set out with the group on Saturday morning, GoPro and camera ready. As we started out of the campground in Borrego Springs, a brief check of Google Maps showed that the trailhead to the Goat Canyon Trestle Bridge was at least 2 hours away and almost 100 miles. This wasn’t what we initially thought or planned for and it didn’t bode well for us since we had a caravan trailing behind. It probably would have taken us closer to three hours to get there, leaving us with less time for the other things we had planned for the day. To my dismay, we had to axe the Goat Canyon Trestle idea and move on to Plan B, which in my mind wasn’t as spectacular. I was crushed since one of the main reasons I signed up for the event was to see that darn bridge and take tons of pics and video footage of it. Thankfully, all was not lost. My disappointment over not getting to hike to the bridge almost rendered me unaware of the blessing of great friends and company by my side. We may not have had the bridge, but we still had each other, and there were adventures to be experienced. As we approached our first destination under “Plan B,” we had a little fun in the truck by opening the sunroof and all the windows and hanging out of the car waving at the caravan of five or so cars behind us. Two people maneuvered up through the sunroof and climbed onto the luggage rack on top of the 4 Runner. It was quite a sight! The slot canyons were pretty impressive. We started out heading the wrong way at first down a trail that led to a cliff where there was no way to proceed. After backtracking to the parking lot, we found the route leading down into the winding canyon. The canyon walls were steep and narrow and reminiscent of the Narrows at Zion National Park in Utah. In order to make our hike a little more adventurous, we turned the hike into a loop and exited the canyon a different way. This required scrambling up some steep, rocky terrain and crossing over multiple washes before making our way back up the ridge to our cars in the parking lot. Once we made it back, we enjoyed oranges and ice cold water. We stopped at a small general store on the way to fill up with gas to get to our next stop and spent a lot of time there just hanging out. We chatted with the store clerk, ate ice cream, checked out some local maps and educated ourselves a bit more on the area we were in. There was so much to be discovered in the desert and we knew we were at the brink of something great and spectacular. Our next and final stop was the Arroyo Tapiado Mud Caves. The mud caves are found along the walls of a wash canyon and are one of the most extensive mud cave systems in the world. They contain approximately 22 known caves and 9 slot canyons. So we proceeded to investigate and what struck us immediately was the air conditioning down there. It was a very hot day and being greeted with a burst of cool air on our faces was an invitation to explore further. What we discovered was a multi-level cave with skylights further in where a rope had been installed to assist the climb up a sheer rock wall about 25-30 feet high. After exploring the one cave, we went and found another one a short distance away. This cave started out dark and then opened up into an amazing slot canyon with beautiful geological features and several places for photo opportunities where we could look down into the canyon. As the sun began to set across the horizon, we scrambled up to a high plateau that provided us 360-degree views of the Badlands of Arroyo Tapiado. It was totally worth the climb to watch the sunset from there, but to do it in the company of great companions was absolutely priceless. On our last day, before heading back home, we hiked the Palm Canyon Trail to a refreshing desert oasis where we were able to cool off in the shade and soak in pools of water while reminiscing over the weekend’s events. We even saw quite a few bighorn sheep that happened to be very photogenic! The tale of the trail? I was disappointed when the plan to go to the Goat Canyon Trestle Bridge fell through. It almost ruined the experience for me before it even fully began. But because I made a slight attitude adjustment, I was able to embrace what was ahead with open arms and I ended up having one of the most incredible and thrilling experiences of my life with some really amazing friends. Sometimes, the plans we make in life fall through. I’m not at the place I expected to be at this point in my life and despite the endless fun I seem to be having, I’m working through a great deal of heartache over some broken dreams. Despite the heartache, I have decided to make that attitude adjustment and embrace the many blessings I’m able to enjoy. It’s given me so much freedom. Do I still feel the sting of disappointment? Yes. Do I let it drag me into a state of despair? No, absolutely not. I have learned to embrace new dreams and thank God everyday for the ability to do what I’ve been given the privilege of doing. This isn’t the life that I signed up for, but it’s what I’ve been given, and it’s not so bad. It’s not what you’ve lost that counts. It’s what you do with what’s left.